Need more persuasion on the importance of face-washing? Cast your mind back to the “caveman regimen” skin care trend, the short-lived fad which involved washing your face like a caveman, i.e., not at all. Quickly debunked by dermatologists, they explained that an anti-washing skin care routine causes a wide variety of issues. For all skin types, the failure to remove impurities on a regular basis means that residue builds up on your face. Not only do makeup and pollutants stay on the skin, but oil, sweat, microbes and dead skin cells hang around as well. Dr. Sejal Shah, a dermatologist in New York, details the dire consequences of leaving residue on the skin: “This buildup can potentially clog the pores resulting in dry, irritated skin, and even acne.” For those with oily skin, lack of washing leads to greater oil production and more breakouts. Dry skin types are also vulnerable to issues, with the complexion becoming drier and duller due to buildup. When you’re committed to keeping your complexion clean, you’ll want to explore the right cleanser for you, including oil cleansers, gel cleansers, and cream cleansers. This type of cleanser is suitable for all skin types, cleansing the complexion effectively, especially in a double cleansing routine. Massage an oil cleanser into skin with a circular motion and rinse thoroughly. An oil cleanser lifts away impurities and excess oil, removing makeup, even around the eye area. If you are using a double cleansing method, you can follow with any other type of cleanser to wash away the last traces of dirt and debris. 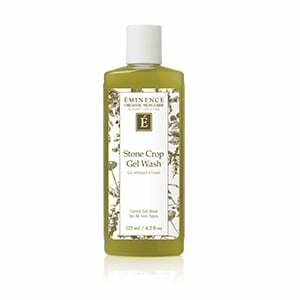 Products like Stone Crop Cleansing Oil are perfect examples of oil cleansers that leave the face purified, as well as balanced and moisturized. A gel cleanser, like the best selling, is a delightful choice for cleansing the skin without stripping it dry. Mix a pea-sized amount with water for a rich lather that removes dirt and debris, massage into skin in a circular motion and rinse or remove with a damp cloth. A versatile gel cleanser will leave your skin feeling clean, clear and smooth. Cream cleansers, like our award-winning Clear Skin Probiotic Cleanser, focus on hydrating while washing away impurities gently. After massaging a small amount in a circular motion and rinsing away, your skin will feel cleansed and replenished.